Sinai Liberation Day is a public holiday in Egypt that commemorates the final withdrawal of the Israeli Defense Forces from the Sinai Peninsula in 1982, after 15 years of occupation. It is celebrated annually on April 25. On June 5, 1967, Israel carried out a preemptive attack on Egypt, Syria, and Jordan, starting the Six-Day War. As a result of the war, Israel captured the Sinai Peninsula and the Gaza Strip from Egypt, the Golan Heights from Syria, and the West Bank (including East Jerusalem) from Jordan. Following the Israeli occupation of Sinai, Egypt refused to negotiate with Israel and began the War of Attrition that lasted from 1967 to 1970. When it ended with a ceasefire, Sinai was still controlled by Israel. Egypt once again tried to seize control over Sinai during the Yom Kippur War (known in Egypt as October War) in 1973. In 1975, Israel and Egypt signed the Sinai Interim Agreement. In 1979, a peace treaty was signed in which Israel agreed to gradually withdraw from the Sinai Peninsula. The withdrawal consisted of several stages and involved dismantling Israeli settlements. The last Israeli soldiers left the peninsula in April 1982. 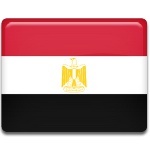 The anniversary of the final withdrawal is celebrated as a national holiday in Egypt.